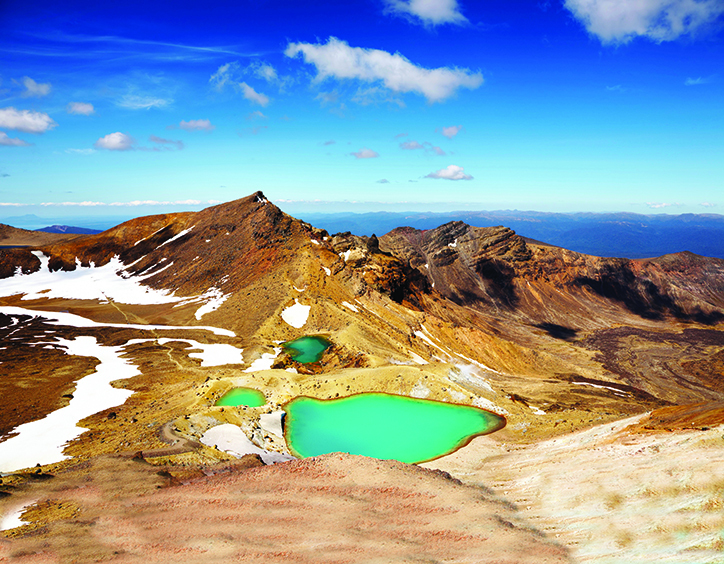 Tongariro is New Zealand’s oldest national park, a giant natural wonderland located in the centre of the North Island. It’s known for being the home of the Tongariro Alpine Crossing, as well as some of the famous volcanoes used in the filming of the Lord of the Rings films, but did you know there’s a whole load more to see and do in this cultural landmark? We’ve got 5 of the best reasons to book your visit to Tongariro today. This famous track is known around the world for its stunning views of the untouched world. It’s a full-day hike and is challenging – a good level of fitness and appropriate footwear are required. Don’t let that scare you off though, because the views you’ll get on a clear day will make it clear why this is known as New Zealand’s greatest day walk. Spring and Summer bring out the best in the shimmering Emerald Lakes, and at the highest peak at the Red Crater you’ll get 360 degree views of the various volcanoes in the area. 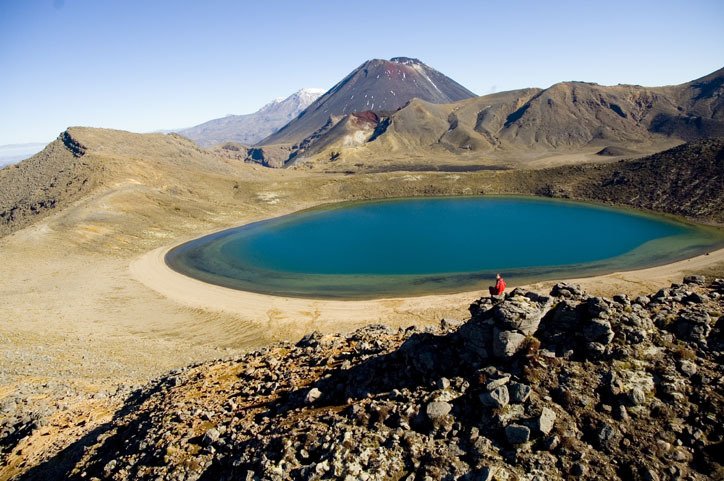 Book a shuttle and start early, you don’t want to miss this walk on your Tongariro trip! There are walking tracks galore to choose from in Tongariro, from short walks to multi-day advanced hikes, there’s something for everyone to get you closer to nature! 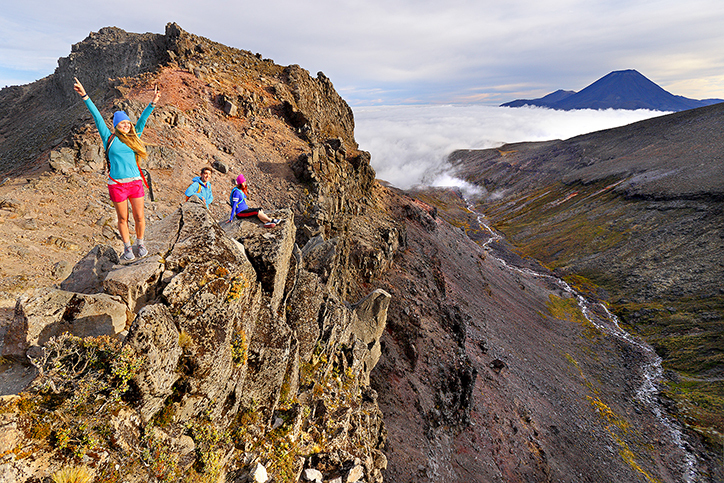 The Tongariro Northern Circuit is a 3-day epic that will provide you with a lifetime’s worth of memories, but shorter walks like the Silica Rapids track offer amazing views in just a couple of hours. There are two ski areas in Tongariro – Whakapapa at Mt. Ruapehu and Turoa at Ohakune. 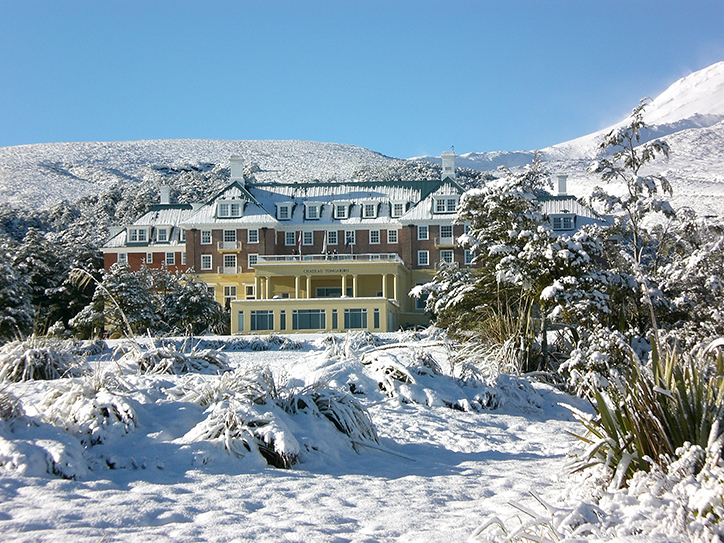 Whakapapa is New Zealand’s largest ski area, and Whakapapa village offers activities of all sorts for non-skiers as well as those who are keen to hit the slopes – hiking trails, a gondola ride to New Zealand’s highest café or high tea in the luxurious Chateau Tongariro hotel. Tongariro is full of breathtaking natural waterfalls, and the best part is you don’t have to hike for days to see most of them. Taranaki Falls is suitable for all ages and abilities and is the perfect spot for a picnic lunch. A day-hike to the Tama Lakes offers a slightly more advanced level but the views of the lakes and the lava fields make it well worth the effort! Ride through tunnels and across bridges on mountain bikes on the short-but-sweet Old Coach Road trail, or jump on a quad bike at Ruapehu for the quickest way to the high ground and best photo spots! For a full-day experience like no other, check out Horsemtrails horse treks for a magical adventure through native forests, across rivers and to remote huts where you can stop for a picnic. Just a few more of the incredible and unique experiences awaiting you at the Tongariro National Park! It pays to book in advance, especially during the October to March peak season, so what are you waiting for? Let Relaxing Journeys help you plan your next holiday.